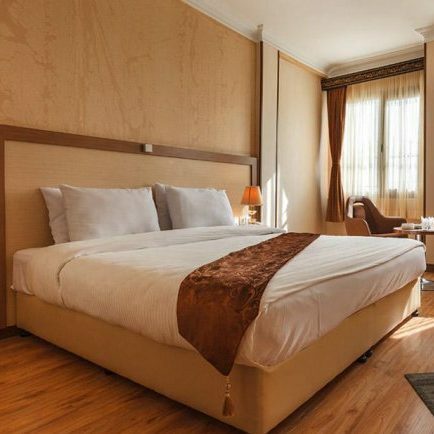 Those who visit the capital city of Tehran and intend to stay in a nice accommodation in a well-positioned part in the downtown with easy access to historical, commercial, and administrative centers, the three-star Pamchal Hotel Tehran is recommended which welcomes guests to a quiet environment with experienced personnel. The hotel’s amenities includes beautifully designed rooms and suites with satisfying facilities, restaurant and café serving a wide range of Iranian and foreign foods and drinks in a calm atmosphere, conference hall, and reception hall, all arranged to provide a relaxing staying for guests. The advantage of the hotel is transferring passengers from airport and railway free of charge in individual and group.